This scene seems to be made for painting. 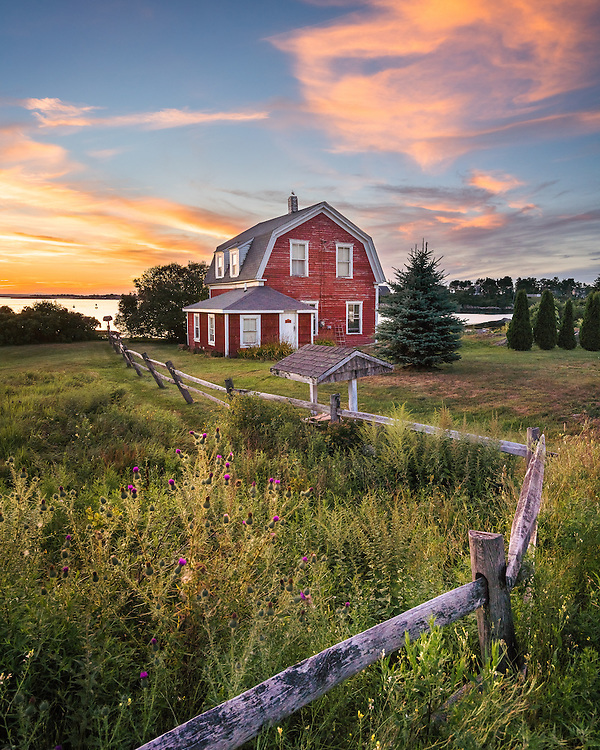 A little red cottage sits on the edge of the shore, with a split rail fence and well. Colorful weeds grow around the fence while the lawn close to the house is well manicured and landscaped. The sky above is painted with glowing orange clouds at sunset.